Pathfinder Asset Management has sold 51% of its business, as part of a plan to grow its presence and responsible investment offerings in the New Zealand market. The deal will see Alvarium Wealth management join Pathfinder in a “strategic alliance”. Co-founder and chief executive John Berry said the value of the deal was commercially sensitive. Alvarium is a joint venture between UK-based global asset management business LJ Partnership, Tailorspace - the investment company of Christchurch-based businessman Ben Gough - and interests associated with investment manager NZAM. 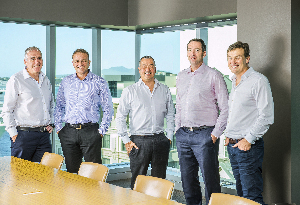 Berry said he and co-founder Paul Brownsey wanted to take the business to the “next level” and cater for the desire for responsible investment in New Zealand, including new product ideas to pursue. The business needed a partner to do that. “Pathfinder is delighted to join with Alvarium in this strategic alliance. Interest in ethical investment products is surging worldwide. Investors have come to understand that investing can be ethical and deliver better investment outcomes, because responsible investment essentially amounts to managing risk with a long-term horizon," he said. Berry and Brownsey will stay on in their current roles as chief executive and chief investment officer. LJ Partnership’s Andrew Williams and Tailorspace chief executive Brett Gamble will join the Pathfinder board, along with Simon Tompkins from NZAM. “Pathfinder believes the time is right to accelerate the development of the market,” Berry said. Co-founder and co-chair of the LJ Partnership’s global business Andrew Williams said: “Since launching its first ethical fund in 2010, Pathfinder has established itself as a leader in the development of responsible investment in New Zealand.